“The endocannabinoid system (ECS) plays a very important role in the human body for our survival. This is due to its ability to play a critical role in maintaining the homeostasis of the human body, which encompasses the brain, endocrine, and immune system, to name a few. ECS is a unique system in multiple dimensions. To begin with, it is a retrograde system functioning post- to pre-synapse, allowing it to be a “master regulator” in the body. Secondly, it has a very wide scope of influence due to an abundance of cannabinoid receptors located anywhere from immune cells to neurons. Finally, cannabinoids are rapidly synthesized and degraded, so they do not stay in the body for very long in high amounts, possibly enabling cannabinoid therapy to be a safer alternative to opioids or benzodiazepines. This paper will discuss how ECS functions through the regulation of neurotransmitter function, apoptosis, mitochondrial function, and ion-gated channels. The practical applications of the ECS, as well as the avenues for diseases such as epilepsy, cancer, amyotrophic lateral sclerosis (ALS), and autism, which have no known cure as of now, will be explored. The ECS is one of the, if not the most, important systems in our body. Its role in the homeostatic function of our body is undeniable, and its sphere of influence is incredible. Additionally, it also plays a major role in apoptotic diseases, mitochondrial function, and brain function. Its contribution is more than maintaining homeostasis; it also has a profound ability in regulation. Working in a retrograde fashion and with a generally inhibitory nature, ECS can act as a “kill switch.” However, it has been shown to play an inhibitory or stimulatory role based on the size of the influx of cannabinoids, resulting in a bimodal regulation. Furthermore, due to the nature of the rate of degradation of cannabinoids, it does not have as many long-term side effects as most of the current drugs on the market. “Spasticity is a major determinant of disability and decline in quality of life in patients with motor neuron disease. Cannabinoids have been approved for symptomatic treatment of spasticity in multiple sclerosis. We investigated whether cannabinoids might also reduce spasticity in patients with motor neuron disease. Nabiximols was well tolerated, and no participants withdrew from the double-blind phase of the study. No serious adverse effects occurred. 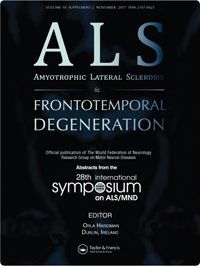 “Amyotrophic Lateral Sclerosis (ALS) is a neurodegenerative disorder that results from motor neuron damage. Cannabinoids have been proposed as treatments for ALS due to their anti-excitotoxicity, anti-oxidant, and anti-inflammatory effects. Cannabinoid pharmacology/therapeutics in chronic degenerative disorders affecting the central nervous system. “The endocannabinoid system (ECS) exerts a modulatory effect of important functions such as neurotransmission, glial activation, oxidative stress, or protein homeostasis. Dysregulation of these cellular processes is a common neuropathological hallmark in aging and in neurodegenerative diseases of the central nervous system (CNS). The broad spectrum of actions of cannabinoids allows targeting different aspects of these multifactorial diseases. In this review, we examine the therapeutic potential of the ECS for the treatment of chronic neurodegenerative diseases of the CNS focusing on Alzheimer’s disease, Parkinson’s disease, Huntington’s disease, and amyotrophic lateral sclerosis. First, we describe the localization of the molecular components of the ECS and how they are altered under neurodegenerative conditions, either contributing to or protecting cells from degeneration. Second, we address recent advances in the modulation of the ECS using experimental models through different strategies including the direct targeting of cannabinoid receptors with agonists or antagonists, increasing the endocannabinoid tone by the inhibition of endocannabinoid hydrolysis, and activation of cannabinoid receptor-independent effects. Preclinical evidence indicates that cannabinoid pharmacology is complex but supports the therapeutic potential of targeting the ECS. Third, we review the clinical evidence and discuss the future perspectives on how to bridge human and animal studies to develop cannabinoid-based therapies for each neurodegenerative disorder. Neuroprotective effects of the cannabigerol quinone derivative VCE-003.2 in SOD1G93A transgenic mice, an experimental model of amyotrophic lateral sclerosis. “Antioxidant phytocannabinoids, synthetic compounds targeting the CB2 receptor, and inhibitors of the endocannabinoid inactivation afforded neuroprotection in SOD1G93A mutant mice, a model of ALS. These effects may involve the activation of PPAR-γ too. Here, we have investigated the neuroprotective effects in SOD1G93A mutant mice of the cannabigerol derivative VCE-003.2, which works as by activating PPAR-γ. 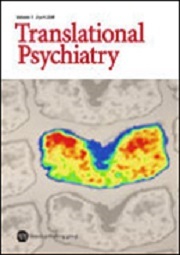 As expected, SOD1G93Atransgenic mice experienced a progressive weight loss and neurological deterioration, which was associated with a marked loss of spinal cholinergic motor neurons, glial reactivity, and elevations in several biochemical markers (cytokines, glutamate transporters) that indirectly reflect the glial proliferation and activation in the spinal cord. The treatment with VCE-003.2 improved most of these neuropathological signs. It attenuated the weight loss and the anomalies in neurological parameters, preserved spinal cholinergic motor neurons, and reduced astroglial reactivity. VCE-003.2 also reduced the elevations in IL-1β and glial glutamate transporters. Lastly, VCE-003.2 attenuated the LPS-induced generation of TNF-α and IL-1β in cultured astrocytes obtained from SOD1G93Atransgenic newborns, an effect also produced by rosiglitazone, then indicating a probable PPAR-γ activation as responsible of its neuroprotective effects. Emerging strategies targeting cb2 cannabinoid receptor: biased agonism and allosterism. Targeting glial CB2 receptors to delay the progression of the pathological phenotype in TDP-43 (A315T) transgenic mice, a model of amyotrophic lateral sclerosis. “CB2 receptors up-regulate in reactive microglia in the spinal cord of TDP-43(A315T) transgenic mice, an experimental model of ALS. To determine whether such up-regulation may be pharmacologically exploited, we investigated different treatments modulating the CB2 receptor function. “Neurogenesis is one of the most important phenomenona affecting human life. This process consists of proliferation, migration and differentiation of neuroblasts and synaptic integrations of newborn neurons. Proliferation of new cells continues into old age, also in humans, although the most extensive process of cell formation occurs during the prenatal period. It is possible to distinguish two regions in the brain responsible for neurogenesis: the dentate gyrus (DG) of the hippocampus and the sub-ventricular zone (SVZ). Hippocampal neurogenesis is very sensitive to various physiological and pathological stimuli. The functional integration of the newly-born dentate granule cells into hippocampal circuitry, and their ability to mediate long-term potentiation in DG, has led to the hypothesis that neurogenesis in the adult brain may play a key role in learning and memory function, as well as cognitive dysfunction in some diseases. Brain disorders, such as neurodegenerative diseases or traumatic brain injuries, significantly affect migration, proliferation and differentiation of neural cells. In searching for the best neurological drugs protecting neuronal cells, stimulating neurogenesis, while also developing no side-effects, endocannabinoids proved to be a strong group of substances having many beneficial properties. Analysis of endocannabinoid receptors and enzymes in the post-mortem motor cortex and spinal cord of amyotrophic lateral sclerosis patients. “We have investigated the endocannabinoid system in the motor cortex of motor neuron disease (MND) patients. We have confirmed that CB2 receptors are elevated in the motor cortex of MND patients associated with the reactive gliosis. This phenomenon is previous to neuronal losses. We also found CB2 receptors in cortical and spinal motor neurons.